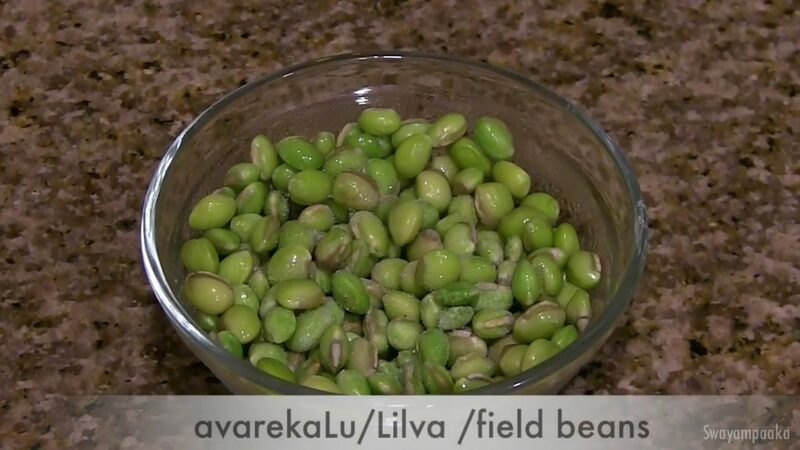 Step by step instructions with pictures to how to make Khara Pongal recipe with avarekalu /field beans /surti papdi Lilva . 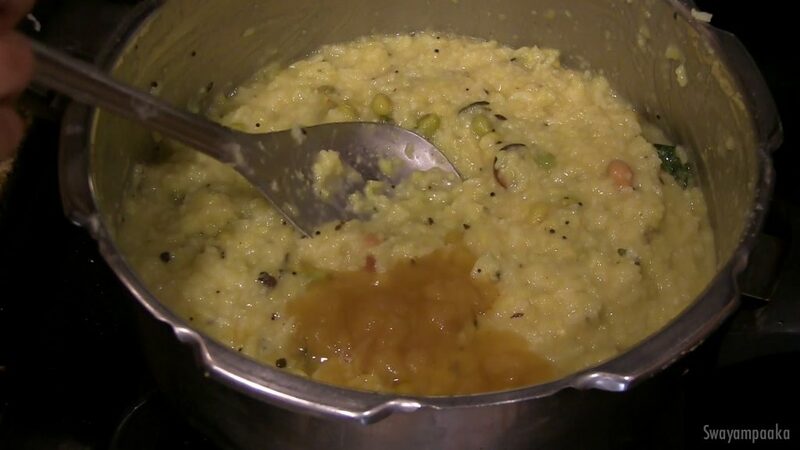 Wash and pressure cook the rice and dal along with avare kaalu, turmeric powder, curry leaves, grated ginger, green chillies, and 4½ cups of water on medium heat (2 whistles). 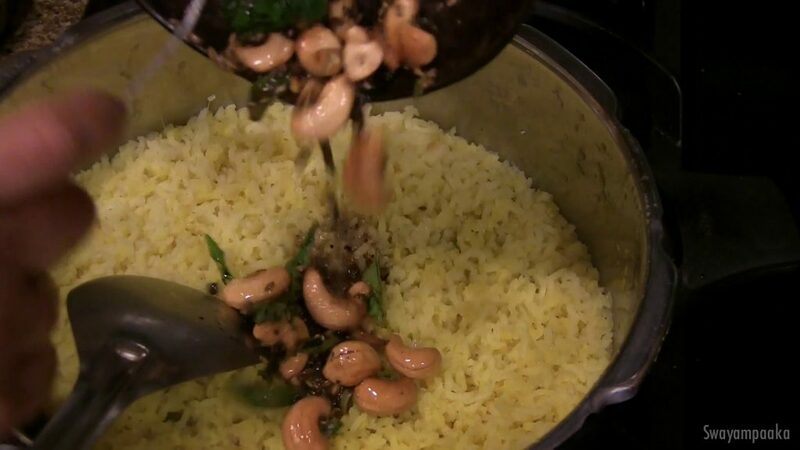 Heat a ghee/oil in a pan, once it is hot enough add mustard seeds, once the mustard seeds pop, add cumin seeds, crushed pepper, and cashews. 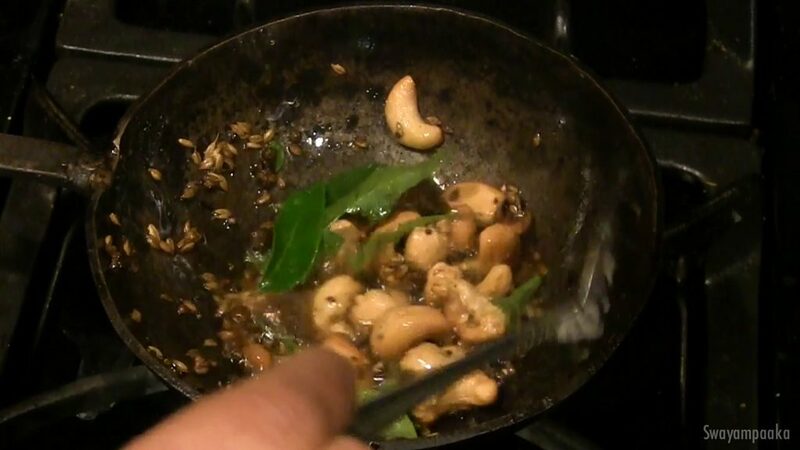 Fry it until the cashews turn light brown, turn off the heat and add curry leaves Mix it. 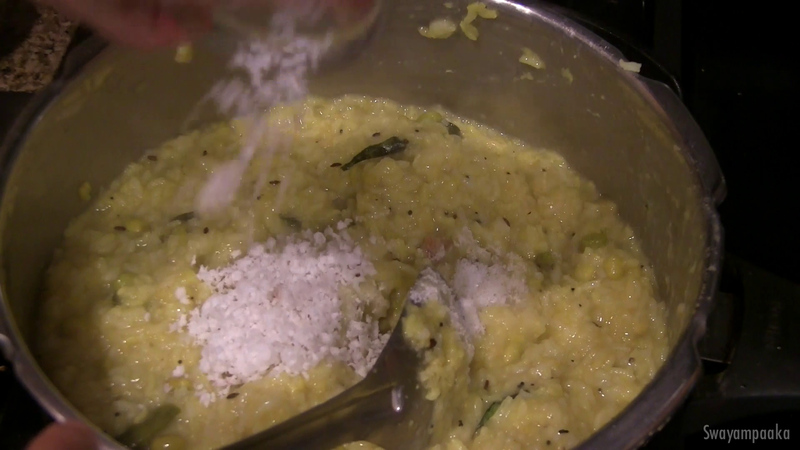 Pour this seasoning to the cooked dal and rice mix along with salt, Mix it. 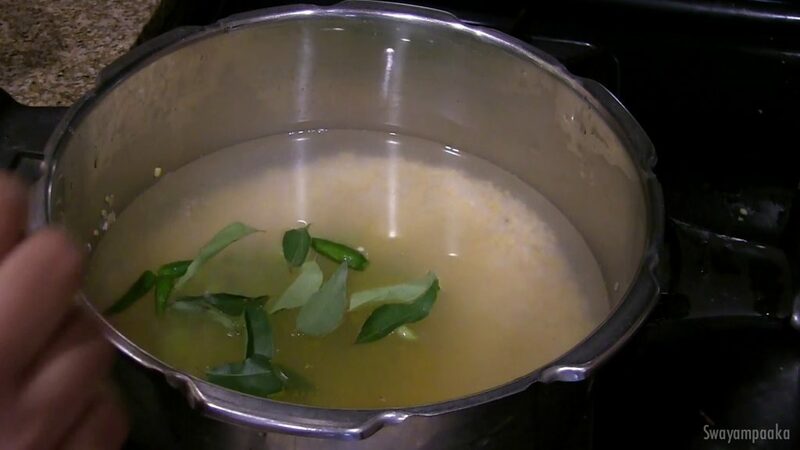 add a tbsp ghee and mix it well, allow it to boil for a minute. 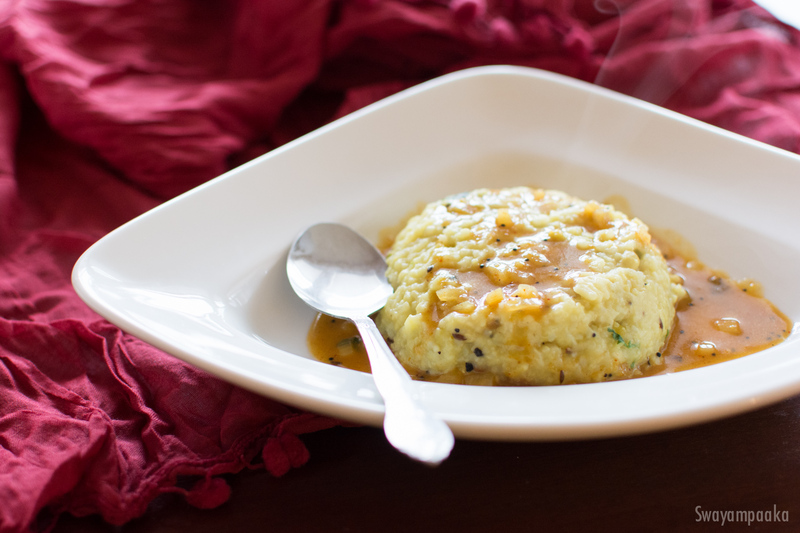 Turn off the heat and eat the hot pongal with chutney, gojju, raytha…. 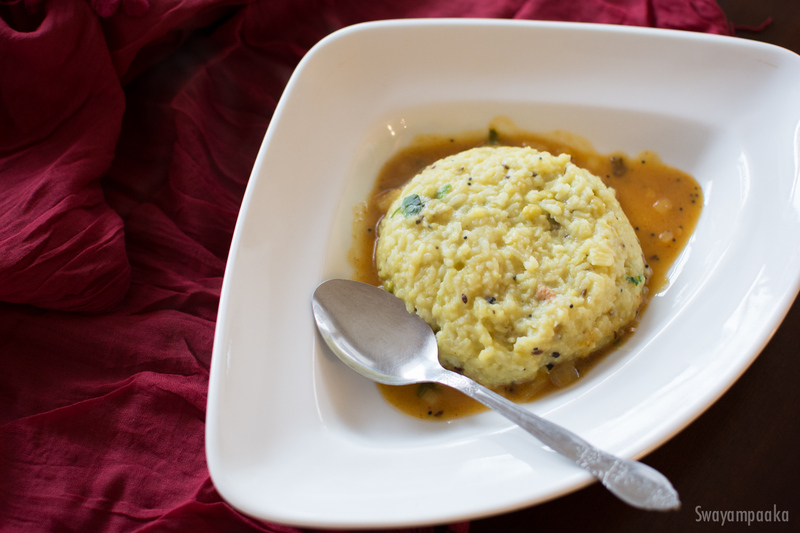 Add more water if you feel the pongal is very thick.